The main campaign control panel in the root of your account can be toggled to display campaigns in either "Thumbnail view" or "List view". 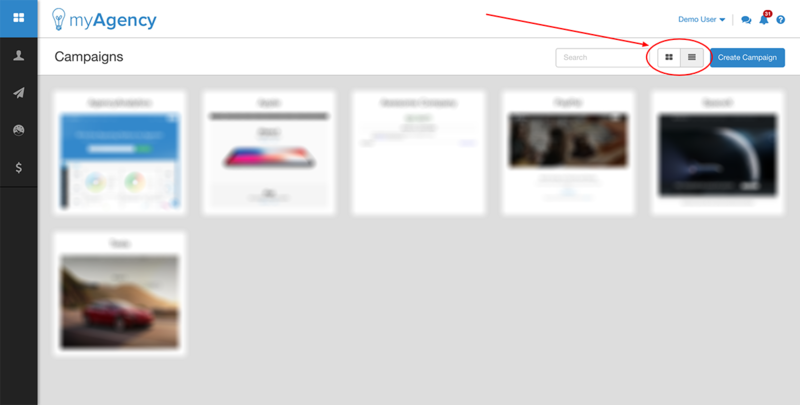 Toggle between thumbnail view and list view with these two buttons. Thumbnail view is illustrated above, and presents a visually appealing and well-organized view of your campaigns. 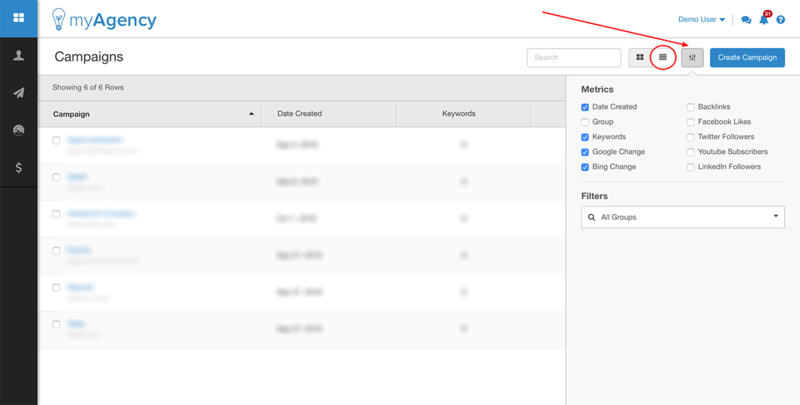 List view provides an array of cross campaign metrics, which you can enable or disable by clicking the settings slider while in list view.